Devised by FCB Joburg, the campaign positions Harold as the ‘Gifting Guru’ to adroitly expose viewers to NetFlorist’s wide range of gifts and florals, which are suitable for corporate as well as personal gifting. Well known on the radio and social media for his camp style and below-the-belt-but-never-slutty sense of humour, Harold’s big move onto the small screen won’t satisfy all his fans, though, because clever character acting and smart photography means that his face remains hidden. FCB Joburg executive creative director, Jonathan Deeb, explains: “NetFlorist is traditionally a radio advertiser, and here its quirky ambassador, Harold, has been entertaining listeners for a number of years. “After Harold’s successful debut on television with a Mother’s Day ad, we were briefed to increase the medium’s share of NetFlorist’s marketing bouquet and create a campaign that would extend his appeal into that medium without – for a number of solid business and marketing reasons – giving him a face. There are five different executions in the campaign, each highlighting NetFlorist’s wide range while still identifying unique gifts for every occasion, and allowing Harold to dispense with the tongue-in-cheek advice he has amused radio listeners with over the years. 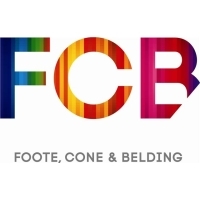 This is also the first campaign from FCB Joburg for which its creative director, Gareth Paul, has worn two hats. In addition to his creative director responsibilities, he directed all five ads. “It’s a real honour to be the director who takes NetFlorist and its quirky ambassador to the small screen big time,” said Paul. “Harold’s built up quite a following on radio; so much so, that he’s been invited as a studio guest on a number of radio programmes. As NetFlorist’s marketing strategy requires that his identity remains a secret, of course we’ve had to turn those opportunities down.